Travel. You can come 28.9. Morning/early afternoon and depart Sunday Afternoon. Cost: 100 Euros for program, food, accommodation at the camp, a surf lesson and lots of fun. The camp is gonna be more simple than the hotels, but more youthful and more us. There are some couple/family rooms available. The singles share a larger room or you can bring your tent and camp on site. If you need luxury – you’re on your own (airbnb…). 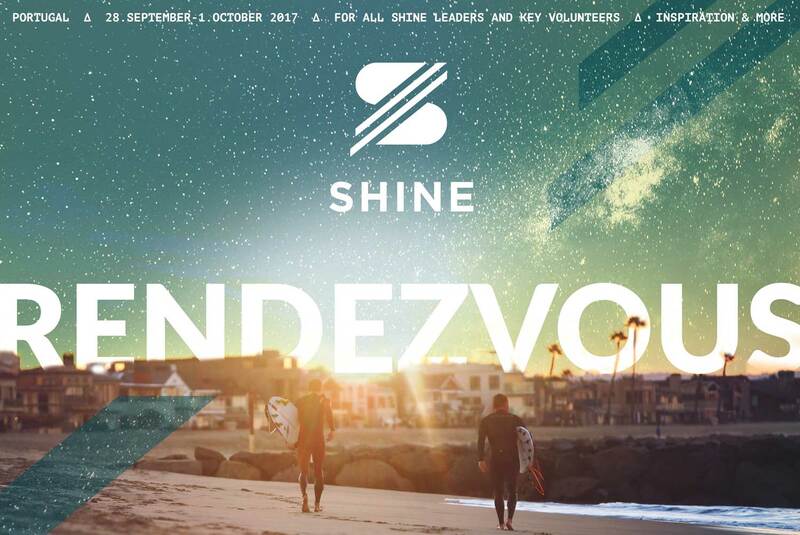 SHINE is the youth department of Agape Europe. SHINE - it's a lifestyle - it's a calling.